Shopping for the perfect sedan can be intimidating. With so many options out there, it can be challenging to find the right model. If you’re looking for a sedan with strong fuel economy figures, a spacious cabin, a dynamic driving experience and the latest selection of high-tech features then you may have the Toyota Avalon and Camry on your list. These sleek, sophisticated sedans have both been recently redesigned and enter the 2019 model year with a variety of updates. But what is the difference between the two models and which sedan is right for you? Here’s a closer look at how the 2019 Toyota Avalon and 2019 Toyota Camry compare. 16.09 cu.ft. Cargo Space 14.1-15.1 cu.ft. 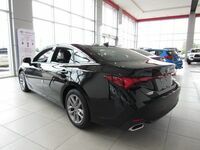 Explore all the features of the new 2019 Avalon at Le Mieux Toyota today! 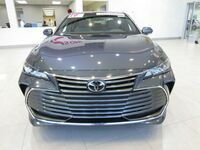 Perhaps the most noticeable difference between the 2019 Toyota Avalon and 2019 Toyota Camry is the difference in handling. The two have very distinct powertrains under the hood in addition to different premium features inside the cabin. 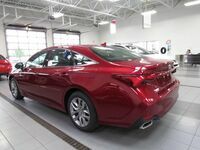 The 2019 Toyota Avalon is also technically a large sedan and has been fully redesigned for the model year. The Camry, on the other hand, is a midsize sedan and remains unchanged for 2019 after receiving a full redesign in 2018. Even though the two models are different classes of sedan, the Avalon and Camry are pretty close in size. The 2019 Toyota Avalon has an extra 2 inches in its wheelbase, has 4 cu.ft. more passenger volume, 2 cu.ft. more maximum interior cargo volume and weighs about 319 lbs. more. Best of all, both the 2019 Avalon and 2019 Camry are both in stock at Le Mieux & Son Toyota. We invite you to explore all the features and capabilities of each sedan with a test drive. Our award-winning team is here to answer any questions you might have and can help you find the perfect vehicle. 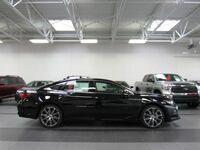 Stop by and explore our complete inventory online 24/7 or with a visit to our beautiful showroom.